How many times have you seen a post like the one below in a Facebook group? I’m sure it’s at least weekly, if not daily depending on the groups you are using. And how many times have you done what I call LINK DUMP & RUN? You’ve just popped your link up and hoped for the best, not engaged with anyone or scrolled through the thread to read all the comments. If you are guilty of the LINK DUMP & RUN on these kinds of posts, you are missing a vital part of your social media strategy. By failing to check the list you could be missing out on identifying 3 very important types of people who will benefit your business. 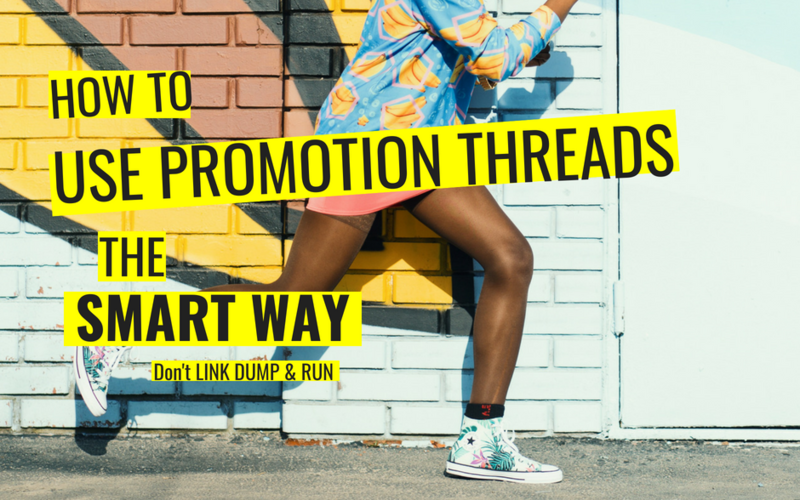 You could be using promotion threads more strategically for your business. These kinds of posts are of course designed for you to promote your business to the other members using the post. BUT… they are so much more useful than they seem and many people aren’t using them to their full potential! The 4 types of people you need to identify on promotion threads. There are 4 types of people you need to identify within these threads and each of them is useful to you for different reasons. So next time you see a promotional post, especially one with lots of comments, make sure you look at all the comments to identify the following people. This is usually the only reason people use these threads, to show off their business and try and reach their customer to sell their products or services. But have you ever made a purchase from a business you’ve seen on one of these threads? I suspect not! These threads really are the least likely place you will find true customers so it’s time to switch your mindset and focus on identifying the 3 other types of people you’ll find in these threads. This is the ideal place to identify your competitors, both locally and nationally. Once you have identified them, keep a note of them, follow them, add them to a spreadsheet or Twitter list and keep an eye on what they are doing. You can learn a lot from your competitors in terms of what is working well for them and what mistakes to avoid making. Competitors are also a great source of useful content for your own platforms as you can see what content has worked well on their platforms and put your own spin on it in the future to add value to your customers too. These are the businesses you could see yourself buying from or working with in the future. You might not be in a position to work with them now for a number of different reasons but you know if circumstances change they are likely to be someone you could buy from or work with in the future. These businesses are important to engage with so you can really learn whether they are a good fit for you so that when the time comes & you are in a position to need their product or service you don’t have any doubts as to whether they are the right supplier for you. Following future suppliers gives you a real insight into how they work and you’ll see how their business changes over time. Plus you’ll already know if they plan to increase their prices or discontinue products or services and can get in quickly before you miss out. This is the most important person to identify within a follow thread. Your business allies are those businesses who shares the same ideal customer as your business! Think of how often you see wedding dress shops engaging with wedding photographers because they share the same ideal customer… brides! Your business allies are a vital piece of your social media marketing puzzle. By engaging with these businesses regularly and showing up on their posts, their audience are going to become familiar with you too. Never ever use another business’s posts to promote your own business though, instead add value. Engage with the business and their customers, have conversations and be social. That’s what social media is for! Whilst this is an informal way of engaging with another business’s audience you could also collaborate more formally in the future so you both benefit. Instagram take overs, Twitter chats and giveaways are great ways to collaborate with other businesses. So, next time you spot a follow thread I hope you will avoid the urge to LINK DUMP & RUN and instead will understand how these posts can benefit your business and help you find connections who will really benefit your social media strategy. Read more tips on how to use groups to promote your business without being spammy!